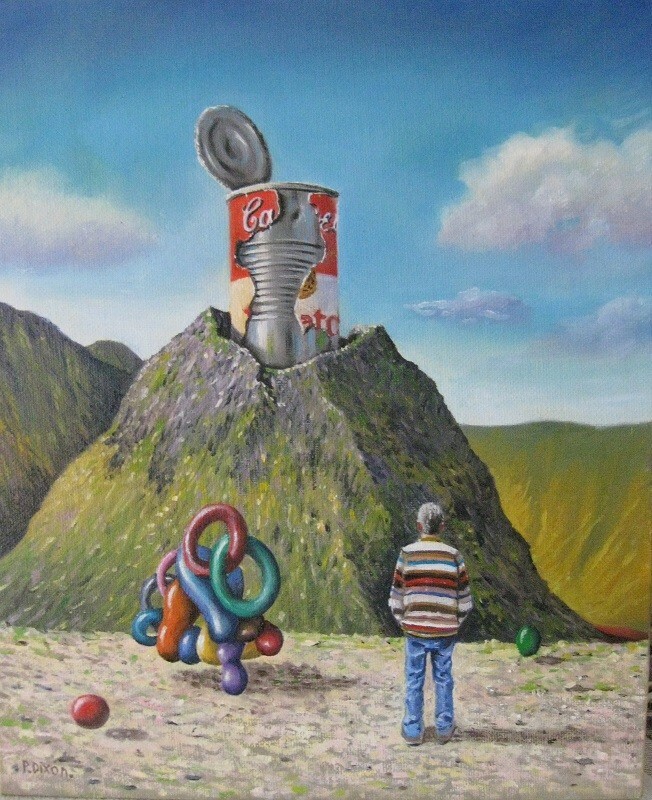 Description: Another of my surrealist paintings painted in oils on a canvas panel ready for you to frame to your tastes. Delivery Details: Free postage in the U.K. Please contact the artist regarding overseas shipping costs. Acceptable Payment Methods: PayPal with 10 days clearance and cheques with 5 days clearance. Paul paints in most media - oils, watercolours, acrylics and pastels and never one to feel pigeon-holed, tackles most subjects - landscape, seascape, cityscape, portraiture, still life, fantasy, surrealism and abstract. He has previously exhibited at the Ferrens Art Gallery, Hull, the Leeds City Art Gallery, Y.T.V. Studios, Leeds, the West Yorkshire Playhouse, Leeds and the Art Shows at Ilkley where he was a prize winning artist who was elected a Companion of the International Guild of Artists. He was a regular exhibitor at the Valley Gardens Art Exhibitions in Harrogate and the Original Art Exhibitions at Addingham, Nr Ilkley, West Yorkshire. He has also had two paintings reproduced as limited edition prints. He has completed various commissions in landscape and portraiture and has work in private collections as far afield as Italy, Germany, America and Canada. PLEASE EMAIL ME OR TELEPHONE ME IF YOU ARE INTERESTED IN PURCHASING ONE OF MY PAINTINGS.